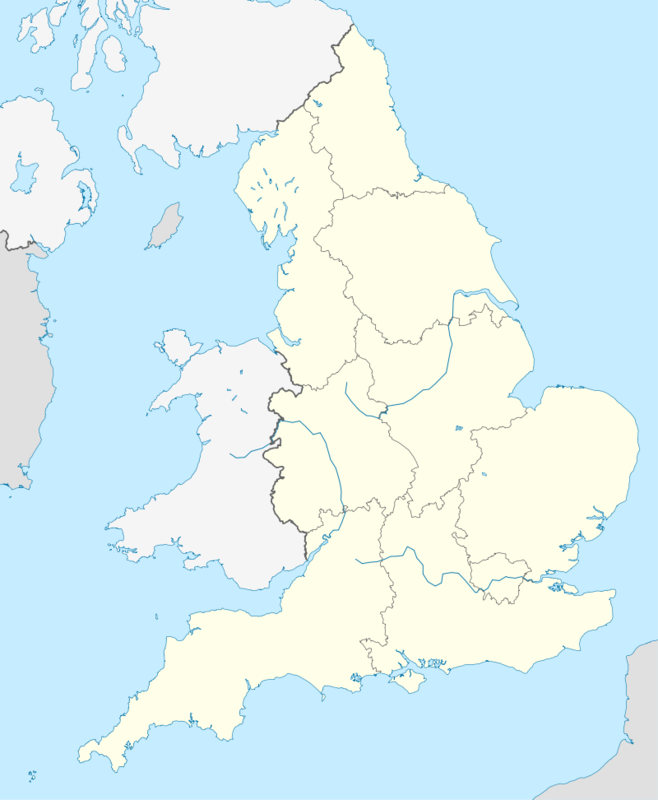 The 2005–06 FA Premier League (known as the FA Barclays Premiership for sponsorship reasons) began on 13 August 2005, and concluded on 7 May 2006. The season saw Chelsea retain their title after defeating Manchester United 3–0 at Stamford Bridge towards the end of April. On the same day, West Bromwich Albion and Birmingham City were relegated, joining Sunderland in the Championship for the following season. For the second time in two seasons, José Mourinho's Chelsea triumphed in the Premier League, with a home win over closest rivals Manchester United confirming them as champions after a record setting albeit tense season. Chelsea's early season form with 15 wins out of 16 gave the champions an unequivocal head start. With Manchester United, Arsenal and Liverpool falling way short of their expectations before Christmas, Chelsea had effectively became champions-elect by early 2006. However, a sudden collapse in form by mid-March caused their seemingly unassailable lead of 18 points to be cut to just 7 in two weeks due to the impressive late run of form of Manchester United, who went on a ten-match winning streak scoring over 30 goals. However, a shock home draw with bottom of the table Sunderland at Old Trafford killed United's title hopes. The momentum was back with Chelsea who didn't need a second bite at the apple with wins over Bolton, Everton and finally Manchester United giving the west Londoners their second successive championship under Mourinho. The top two clubs at the end of the season earned the right to participate in the UEFA Champions League group stages, while the third- and fourth-placed clubs get places in the Champions League Third Qualifying Round (where they progress to the Champions League group stages if they win or the UEFA Cup if they lose). However, if an English team wins the Champions League, but finishes outside the top four, then they get the final Champions League spot instead of the fourth-placed club, who have to settle for a place in the UEFA Cup. This could have been the case with Arsenal and Tottenham Hotspur, but Arsenal pipped Spurs to fourth place in the final matchday of the season before losing 2–1 to FC Barcelona in the final of the UEFA Champions League. The fifth-placed club always earns a spot in the UEFA Cup. The winners of the FA Cup also earn a place in the UEFA Cup. If they have already qualified for European competition by their league position or winning the League Cup, then the FA Cup runners-up get their place. If the runners-up, too, have already qualified, then the highest league finisher who have not already qualified for Europe (normally sixth place) are given the place. This season, the FA Cup final featured Liverpool and West Ham. Since Liverpool finished third they were assured of a spot in the Champions League qualifying round, which in turn meant that West Ham received the cup winner's UEFA Cup place. The League Cup winners also qualify for the UEFA Cup. If they have already qualified for European competition through other means then their place is, unlike the FA Cup, not awarded to the runner-up, but instead the highest league finisher who has not qualified for Europe. League Cup winners Manchester United finished second, placing them directly into the Champions League group stage. This meant that the sixth-placed club, Blackburn Rovers, qualified for the UEFA Cup. The team directly after the UEFA Cup places, goes into the UEFA Intertoto Cup which means in turn, if the team – Newcastle United this season – wins a 2-legged match means they earn a place in the qualifying round of the UEFA Cup. The PFA Young Player of the Year award was won by Wayne Rooney. Wayne Rooney, was named the PFA Fans' Player of the Year for 2006. The Football Writers' Association Footballer of the Year award for 2006 was won by Thierry Henry for a record third time. No other player has won the accolade on as many occasions as the Arsenal player in the award's long history. Arsenal's Thierry Henry won this award for the second time. José Mourinho was awarded the manager of the season award after he led Chelsea to their second premier league title in two years, their third league title in their history. This title was also his second time of winning the award in as many seasons. Thierry Henry was named the winner of the Barclays Golden Boot Award. The Arsenal striker scored 27 goals in the league and was presented with the award at Arsenal's last ever game at Highbury. Liverpool goalkeeper Pepe Reina won the Premier League's golden glove award for the first time. He achieved clean sheets in 20 Premier League games. The Barclays Fair Play League was won by Charlton Athletic, ahead of fellow London team Arsenal. The least sporting side was Blackburn Rovers. This was Arsenal's last ever season at their long-time home of Highbury. Their last ever match there was a 4–2 victory over Wigan Athletic, where Thierry Henry scored a hat-trick – the last in the Premiership this season. After scoring his hat-trick goal from the penalty spot, Henry kissed the grass at Highbury. The Gunners opened the 60,000-seat Emirates Stadium in the summer of 2006. With 27 goals, Thierry Henry outscored the entire Sunderland squad, who managed to score just 26 goals. This was the second time a Premier League squad had been outscored by individual players; the first instance also involved Sunderland when they were outscored by three players, including Henry, in the 2002–03 season. In the 2007–08 season, Derby County would be outscored by three players. Ruud van Nistelrooy scored the season's first goal in the match between Everton and Manchester United; United won 2–0. Marlon Harewood scored the first hat-trick of the season in West Ham United's 4–0 victory over Aston Villa. Chelsea, having been originally founded in 1905, celebrated their centennial year with a series of events, and a second consecutive Premiership title. Liverpool recorded the highest points total (82) for a third-placed club. This record would later be broken by Chelsea, who recorded a total of 83 points during the 2008–2009 season. Several clubs reported disappointing attendances and/or trouble selling out their grounds for the opening weeks' matches. Many have argued that this was due mainly to the comparatively early season start, and the Ashes Test cricket series which caught the nation's imagination and which England went on to win. Other possible reasons are continued escalation of ticket prices and the increasing number of games shown on television (which has had the knock on effect of greater variation in kick-off times). The overall decline in attendances for the season was only around 2%, but that figure is reduced by the fact that bigger clubs were promoted into the Premiership than were relegated and several clubs have suffered larger falls. Alan Shearer and Dennis Bergkamp both retired this season after long and successful Premiership careers. Sunderland had the worst ever season in the history of the FA Premier League after picking up only 15 points and three wins all season, breaking their previous record of 19 points in 2002–03, along with the previously mentioned fact that the entire team was outscored by Thierry Henry of Arsenal. That record would be broken by Derby County in 2007–08, with a total of 11 points and one victory. Fulham were almost the third Premier League club in history to go a whole season without an away win; however, a 2–1 victory over Manchester City on the penultimate week spared them that record. After witnessing West Bromwich Albion's miraculous "Great Escape" the previous season, Portsmouth completed their own version, recovering from being 8 points adrift of safety with less than 10 games left to relegate West Brom and Birmingham City by the penultimate game of the season with a 2–1 win over Wigan. With Tottenham Hotspur having all but guaranteed themselves a European place, all they needed to do was equal Arsenal's result when playing away at West Ham. However, the night before, some of the team came down with a virus. West Ham, Spurs and the Premier League could not agree a new date/time for the game and so the match went ahead at the originally planned time. Spurs lost 2–1 and Arsenal got the final Champions League place. Cristiano Ronaldo scored Manchester United's 1000th Premier League goal in a 4–1 loss to Middlesbrough on 29 October. 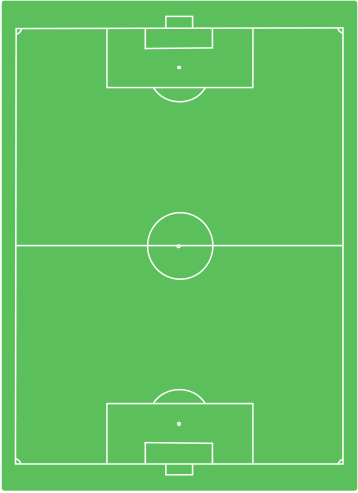 1 2 3 4 "English Premier League 2005–06". statto.com. Retrieved 19 February 2015. ↑ Charlton changed sponsors during the season, as previous sponsors All:Sports went into administration. ↑ "GERRARD NAMED PFA PLAYER OF THE YEAR". Sporting Life. Retrieved 14 January 2011. ↑ "Gerrard named player of the year". BBC News. 23 April 2006. Retrieved 14 January 2011. ↑ "BBC SPORT | Football | My Club | Arsenal | Henry picks up award from writers". BBC News. 27 April 2006. Retrieved 14 January 2011. ↑ Wallace, Sam (8 May 2006). "Arsenal 4 Wigan Athletic 2: Highbury story ends with last act of sublime skill from Henry – Premier League, Football". The Independent. UK. Retrieved 14 January 2011. ↑ "Thierry Henry with his Golden Boot Award. Arsenal 4:2 Wigan Athletic. Arsenal FC, Arsenal v Wigan 2005/06". Arsenalpics.com. Retrieved 14 January 2011. ↑ "Reina collects Barclays Golden Glove Award". Premierleague.com. Retrieved 14 January 2011. ↑ "Henry delight at Highbury finale". BBC News. 7 May 2006. Retrieved 14 January 2011. ↑ "Bergkamp given rousing farewell". BBC News. 22 July 2006. Retrieved 14 January 2011. ↑ "Hotel cleared over Spurs illness". BBC News. 16 May 2006. Retrieved 14 January 2011. ↑ "Middlesbrough 4-1 Man Utd". BBC News. 29 October 2005.